The first midterm is at the very end of this month. That might seem far away, but it’s never too early to start getting ready. What things do you still need to work on from the sections we’ve done so far? Start reviewing now and get help at the SMLC for anything you need to work on. Finish Section 0.7 homework – be sure to do LOTS of proofs, since learning about mathematical argument is the whole point of the section! Some of you are going to hand in paper copies of extra credit writeups today. You must have a paper copy by today’s class to get this extra credit. This is also the last time I will allow a grace period after the Friday deadline. I will let the entire class know the next time there is an event that can be used for optional extra credit points. Write questions on the board on the way in? Read and take notes on Section 0.7 – watch out, this section is a little harder than the previous ones, so make sure to set aside a little extra time for reading it. // Are you feeling lost in class? On Wednesday’s Daily Quiz, most of you could not sketch a graph of \(f(x)=|3x+1|\). This may indicate that many of you are not doing the reading before class, or at least are not spending enough time doing it, because the Daily Quiz was directly based on Definition 0.33 and the example that immediately follows it in the textbook, which was to graph \(f(x)=|2x-1|\). I recommend that you spend at least an hour reading the section, working through the examples, and taking notes, before coming to class. If you don’t prepare significantly before class then you are going to feel lost every day in class, and have to spend more time figuring out homework problems later on. Take care of any remaining homework for mastery of Sections 0.4 and 0.5. Don’t fall behind; if there is anything from Sections 0.1–0.5 that you don’t understand, then take care of it at the SMLC this weekend (Fri 10am-2pm, Sat closed, Sun 5pm-8pm). Read and take notes on Section 0.6: Operations, Tranformations, and Inverses to prepare for Monday. Note that this is a more difficult section than the two previous, so make sure to set aside a couple of hours this weekend to get started with this section! This week my remaining office hours are Wednesday 1-2pm and by appointment. I do not have scheduled office hours this Friday. If you went to Monday’s colloquium then type up a casual two-paragraph writeup of your experience and give it to me by Friday in class. 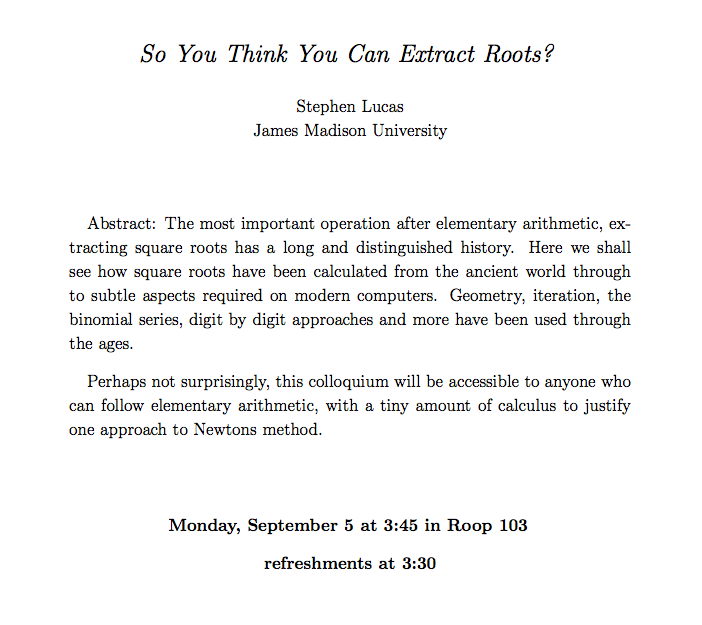 If you could not attend Monday’s colloquium then you can do the following alternate assignment by Friday: Find an interesting online article about math written in the last three months and type up a casual two-paragraph writeup of it to hand in on Friday, along with a printout of the article. Note that extra credit such as the above is always optional, and that not doing it will not hurt your grade in this course. Do you have a question you want to ask at the start of class? Field trip to the SMLC! My office hours this week are 1-2pm on Monday and Wednesday, or by appointment. Remember there is a colloquium this afternoon at 3:30 in Roop 103 that you can attend for extra credit (see the post previous to this one). Did you get a bad grade on the first Friday Quiz? If so, don’t despair. You can still get a great grade in this class, numerically speaking. However, you should take it as a serious wake-up call. Keep studying and seek help at the SMLC this week to make sure you’re ready to rock this week’s Friday Quiz. Are you feeling stressed? Starting college can be really hard, and sometimes it can feel overwhelming. Please feel free to talk with me if you have having trouble, want help/advice, or just want to talk about it. Read and take notes in your Notebook on Section 0.4 to be ready for the Daily Quiz. You’ll get the most out of class if you read carefully, work through the examples, and then start some of the homework problems, so take this pre-class work seriously. Get the “easy” stuff out of the way before you come to class so that you can tackle more difficult problems while you can get help from your group and from me. Come to class with a question you want help with. Try to find something specific, like a particular step of a problem where you got stuck. How do I grade your quizzes? This gives me a fair and consistent way to assign numerical values that represent the quality or completeness of each solution. The numbers over the whole quiz get added up and then I figure out what levels of performance represent “A work”, “B work”, and so on, for that particular quiz. In general, you’ll get more points for logical, well-reasoned work with an error that messes up your final answer than you would get for messy or sparse work that mysteriously or perhaps only luckily ends up in the right place at the end. 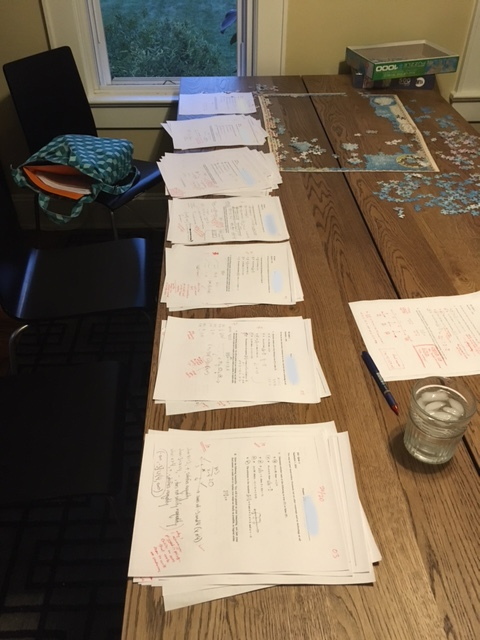 The first week’s quiz was a little rough (notice the somewhat large pile of sad papers three from the left in the picture above), but I am pretty sure that the second week will be better. Good luck everybody! P.S. Keys will be posted each week on the Quiz Keys page. You can use the quiz keys as an example of the kind of work that you should provide on your own quizzes to justify your reasoning. Note that although you don’t have to show work for T/F questions on your own quizzes, I will sometimes include short explanatory notes for T/F problems on the keys. Throughout the semester I’ll tell you about talks and events that I think could be interesting and relevant to students in MATH 231. This Monday’s talk is particularly accessible and Steve Lucas is always a great speaker! Attend Monday’s colloquium in the Department of Mathematics and Statistics and hand in a two-paragraph casual writeup by the end of the week for 5 extra credit points. If you can’t attend, don’t stress; I will present other opportunities for extra credit later in the course. Everyone will have an opportunity to earn up to 20 points of extra credit. Note there is a Math & Stat Department Colloquium talk on Monday afternoon that may be of interest, and from which you can earn a small amount of extra credit; stay tuned for a post about that. My scheduled office hours are moving around a bit as the semester takes shape. They are now 1:00-2:00 pm on Mondays, Wednesdays, and sometimes also on Fridays. Those hours are subject to change week by week; please consult the class Calendar for updated information, and always feel free to call my office phone at 540-568-3355 at any time to see if I happen to be around. If my scheduled office hours don’t work for you and you need to see me, then catch me before/after class and we can try to schedule an appointment. Today we’ll cover the review sections on numbers, equations, and inequalities, and start getting into swing of how most class days will work. That is, you’ll write questions on the board on the way in, we’ll have a short Daily Quiz, and then spend most of class discussing problems in groups. Did you add your info the (optional) Study Group Finder spreadsheet? 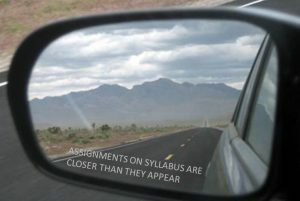 Are you still waiting for your textbook? Email me and I will send you a PDF of the first three sections of the book. If you’re new to the class then be sure to look over the earlier posts and read all the class documents before class on Wednesday. 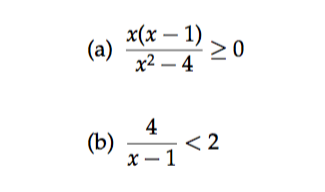 Also be sure that you can solve inequalities like these two from today’s class. You should be using the method outlined in Theorem 0.21. In other words you should be using factors and a number line, rather than a lot of cases with “and’s” and “or’s”. Are you having a lot of trouble with the algebra review material in Sections 0.1, 0.2, and 0.3? If you are in MATH 199 then make sure to get started studying for your first Gateway tests as soon as possible. See me if you need help getting started. Completing MATH 199 quickly will help you a lot in MATH 231. If you aren’t in MATH 199 and are having trouble, then see me as soon as possible. I can set you up with access to the study materials in MATH 199, or you can choose to enroll in MATH 199 as a co-requisite. Complete as many homework problems as you need to for Sections 0.1, 0.2, and 0.3, and study for the Friday Quiz. The quiz problems will be based on exercises from the textbook. The Test Your Understanding questions in each of the three sections. Exercises #0, #1, and #2 in each of the three sections. In fact, the above is recommended for all sections in the book. The Applications, Proofs, and Thinking Forward exercises for these three sections (although you will need to master these types of exercises in future sections). Exercises #44-#52 in Section 0.3 about solving more difficult absolute value inequalities (but make sure you are able to do #41-#43).